Pumpkin Patch Long Island – Pumpkins are autumn staples, commonly utilized in many aspects of commercial and recreational activities. During Halloween and throughout the harvest months, you won’t go without seeing at least one carved pumpkin placed in the window of a house or building; these months are also a popular time for pumpkins to be used in cooking like pumpkin pies and other treats. You’re likely to find a pumpkin patch in most states within in the United States. The top pumpkin-producing states include Illinois, Indiana and Ohio, however that doesn’t stop people from finding a pumpkin patch in Long Island to visit despite the distance of driving. In fact, each year many people nearby and within Long Island visit what’s considered the best place in the area to pick pumpkins. And it’s just not the best place to pick pumpkins, it’s also home to a festival, occurring each year, accommodating families looking to open up the harvest season with an incredibly enjoyable experience. White Post Farms is responsible for their annual Fall Farm Festival occurring each year. They pride their event on being filled with quality and unique events, all for the value of a single admission ticket per family member. The Fall Farm Festival has become an annual tradition for most families in the New York area, a way for families to spend a weekend together at the start of the autumn season. 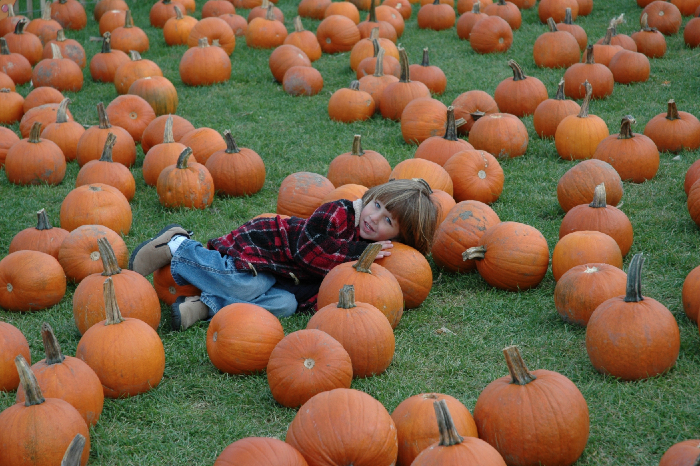 The White Post Farms Fall Festival features the largest pumpkin patch in Long Island. The field of pumpkins stretches over an incredibly large distance, making it the perfect place to explore pumpkins at their most natural—and it’s even great for photo opportunities as well. At the Fall Festival, and throughout the rest of the autumn season, patrons can participate in pumpkin picking, where they can pick their own pumpkins out of their large pumpkin patch. If you’re creatively minded or came with equally creative children, you can also participate at their Paint Your Own Pumpkin tent, you and your party can craft personalized pumpkins with the use of paints. In Melville, Long Island, White Post Farms’ Fall Festival is a huge, fun-filled event guaranteed to give many families value for the price of admission. Alongside their pumpkin-filled activities, ticket holders can expect to see events like their Animal Farm Jamboree Show, the Magic and Comedy of Jim McClenahan and their grandiose Great Stage Show. There’s also the Sing-A-Long Hayrides and Bounce ‘n Slides to look forward to using, in addition to tasting many festival food favorites such as pies, roasted corn and pumpkin.